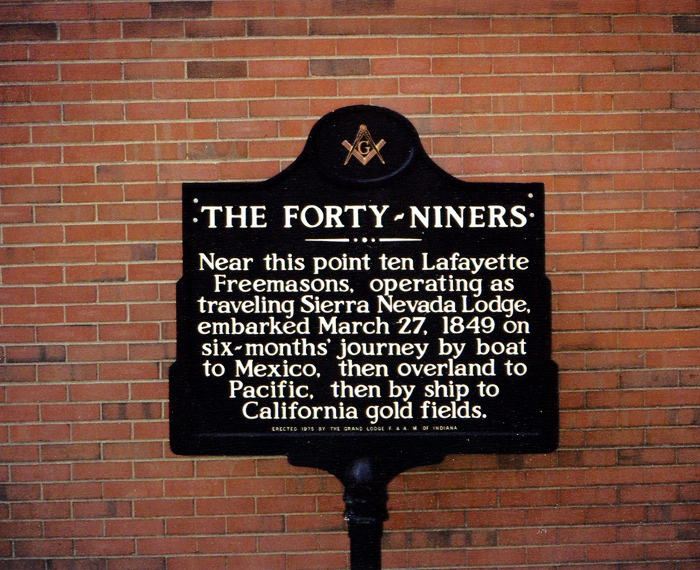 Near this point ten Lafayette Freemasons operating as traveling Sierra Nevada Lodge, embarked March 27, 1849 on six-months' journey by boat to Mexico. Then overland to Pacific, then by ship to California gold fields. Marker erected 1975 by the Grand Lodge F. & A. M of Indiana. Located next to the Masonic Lodge, 522 Columbia Street, Lafayette, Indiana.